Kanye West at the White House on October 11. At this point, even Kanye West’s most benign sentiments can apparently inspire online controversy. 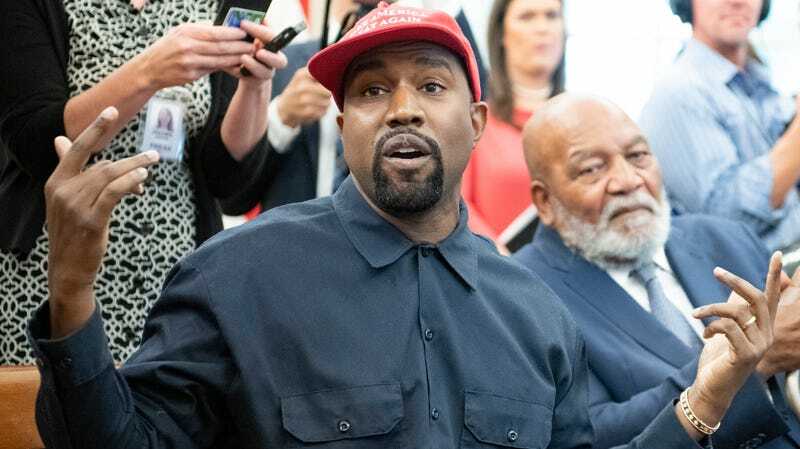 After visiting the White House last month, West then claimed that he had been “used to spread messages I don’t believe in” for political purposes and pledged to stay out of politics (also on Twitter: “I am distancing myself from politics and completely focusing on being creative !!!”). Good. Great. But now it seems that Ye can’t even express opinions about his favorite eats without getting slammed. After West proclaimed his love for his favorite restaurant, McDonald’s, on (where else?) Twitter, Burger King UK quickly clapped back with “Explains a lot.” (Burger King’s main account’s response was the weaker “eyes still closed I guess.”) The sick-burn comeback is now quickly making the rounds, with 715,000 likes for BKUK and nearly 200,000 retweets in about 24 hours.